The first clinical cases of patients with severe disabilities - severe spasticity and deforming contractures in the lower limbs - treated with laser have been presented in Como. 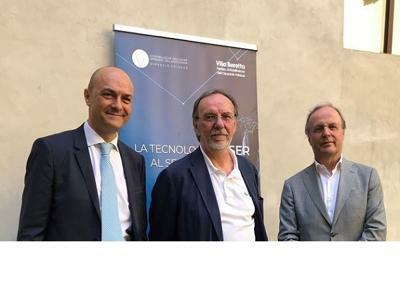 The interventions were carried out on selected patients at the Valduce Hospital in Como with a new generation laser system donated by Quanta System, one of the world leading companies in laser technology for medical use. "We are happy to achieve these important results with the Valduce Hospital medical team and to make available new treatment options for patients opening the way for new developments in rehabilitation medicine" commented Paolo Salvadeo, General Manager of the El.En. of which Quanta System has been part since 2004. "Collaborating with research institutions and health institutions is in our DNA and it is a concrete and daily commitment for us. We work alongside our partners in the healthcare sector, in Italy and abroad, in research projects aiming at giving new hopes and at boosting progress in medicine"